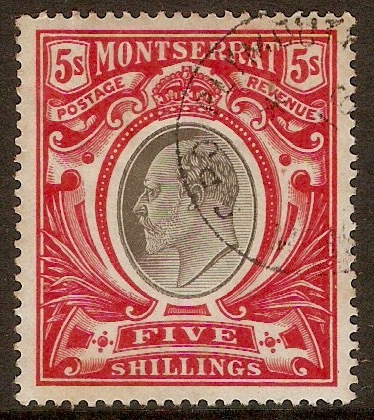 Home :: Montserrat :: Montserrat 1901-1910 :: Montserrat 1903 5s Black and scarlet. SG23. Fine used 1903 5s Black and scarlet. SG23.